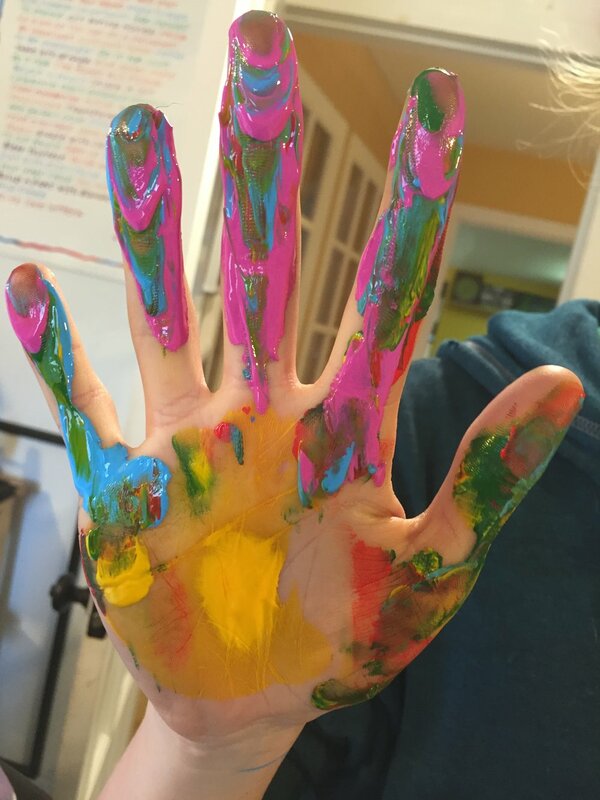 The ART Experience offers a learning experience for the young artist at any level that includes a little ART history, ART biographies, use of different mediums and techniques, and explores ART in our everyday lives. We offer classes for after school, as well as a homeschool curriculum designed to give students a well-rounded basic art education. We also have an advanced curriculum designed to further develop art skills and education for those who want to continue their art studies in college. Now offering... play time for adults! It's time to free your mind and soul and MAKE ART! There is nothing like the creative process to declutter the day-to-day routines which limit your time to express thoughts and convey feelings. There is so much satisfaction in being able to create something tangible, whether it be an art journal entry, a painting, piece of jewelry, etc. Come join us as we commune together and create! Contact Julie for availability and more information regarding classes and workshops. ART Experience was started as an after school art program with classes aimed at serving children ages 4 through high school. Over the past few years, it has evolved to serve children ages 3 through adult, not only after school for public and private school children, but during the day to accommodate homeschooled children and their curriculums. Classes are small so that each student can receive the instruction necessary for growth and expression. They are designed to provide the experiences that help students build new knowledge and skills while challenging them to develop unique expressive works that reflect their individual life experiences, interests, and voice. The classes are developed for age-appropriate motor skills and cognitive abilities. Individual attention is an essential component of ART Experience classes and they are structured to encourage students to interact with me as much as possible in developing their work. Julie knew she would be a teacher at a very young age. Art became the vehicle. In 1981, Julie received a BS in Art Education from The College of St. Rose and started teaching jr/sr high school art at Candor Central School near Ithaca, NY. While teaching, she received an MS in Education at Elmira College in Elmira, NY. Julie revamped and updated the curriculums while teaching and implementing new art programs in the school system. After moving to Connecticut in 1997, she stayed home with her family and eventually went back for CT certification in art education. As an art teacher, I believe that making art is necessary to keep creativity constant. Art isn’t just about the techniques, but also about nurturing and encouraging each student’s success with each project. The creativity always stretches beyond artistic tools and techniques. Creativity encourages us and opens us to differences in how each of us learns. My belief is that “Life is ART!” As an artist, I make what pleases me, speaks to me, and affirms my spirit and beliefs. Whatever the piece, it’s all about looking inside, tapping into that and working with what I find! I believe the same thing in teaching. Every child can make art. It’s my job to see that they succeed and are pleased with what they create.